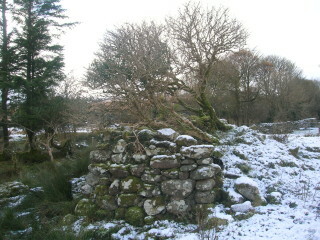 The remains of the house in which John Geoghegan (grandfather of Jackie Geoghegan) lived and reared his family. Old ruins of a lost era. 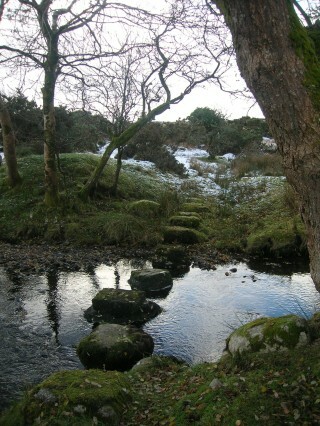 Stepping stones across the Bunowen River where the "Pony Express" passed on its way to Clifden. 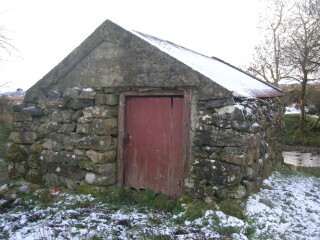 Abandoned homestead now a shed. THe hauntingly beautiful valley of Letteercraff. 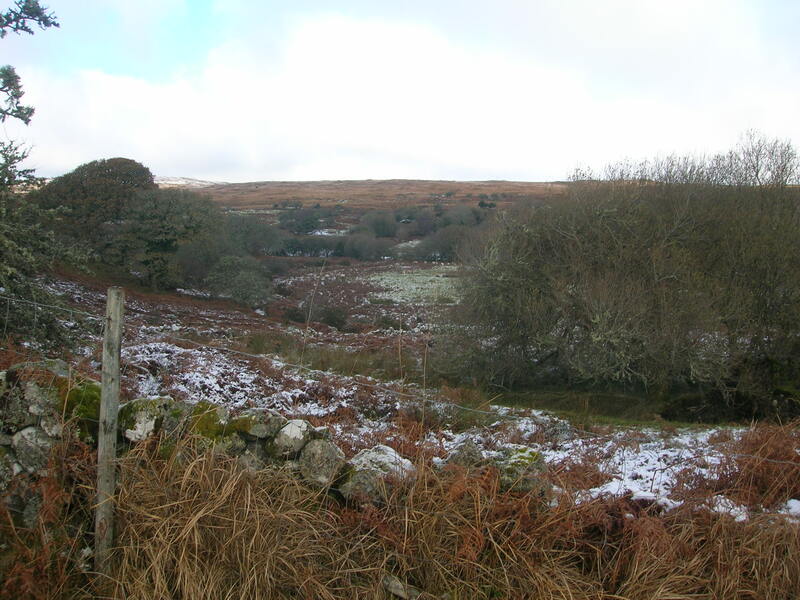 There are many town lands around the village of Oughterard whose history is little known, so when I was invited on a historical tour of one on these town lands by Jackie Geoghegan, Glengowla, my curiosity was certainly aroused. Jackie Geoghegan’s family moved to a place called Lettercraff (Leitir Creamha) after the Great Famine in the mid nineteen century. 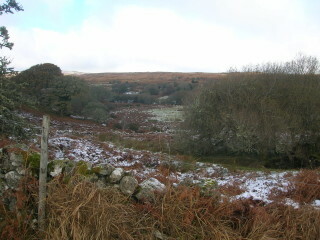 The Old Galway to Clifden Track that runs through Lettercraff was the old Clifden Road where the “Pony Express” travelled all those years ago. 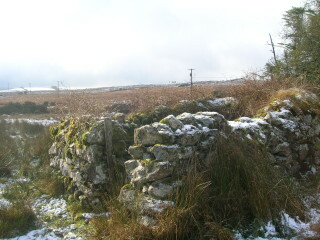 As you head into the valley up to your right you can see the remains of some of the old houses that were deserted during famine times. Lettercraff Families There were up to twenty families living there. Kierlers, Kellys, Mc Graths, O Malleys, Mac Keals, Lees and the Clohertys.The Mac Keals owned a public house (Sibeen) on the old Connemara road. At a later stage it is believed that twenty-three other families immigrated to America from this village in one week. Around the time of the famine one man, Martin Kelly began laying the outline for a house, which you can still see to this day. 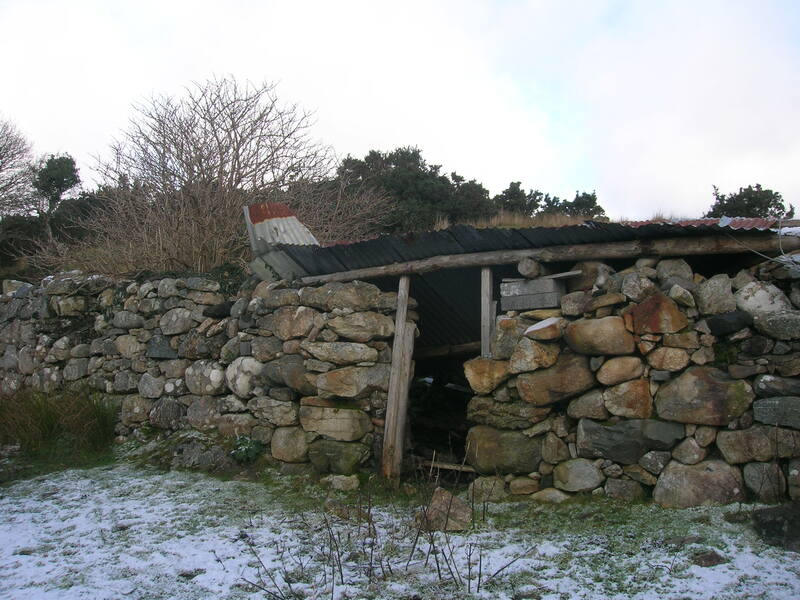 I later visited a local man Pat Gibbons, who lives in Derrybeg, Maam Cross who told me he was involved in the laying of the present day Clifden Road. It was started back in the late 1920’s when the workers had to break the stones with small hammers and received 2 shillings and 6 pence for every tonne. The road was tarred in 1932. Lettercraff is uninhabited now. 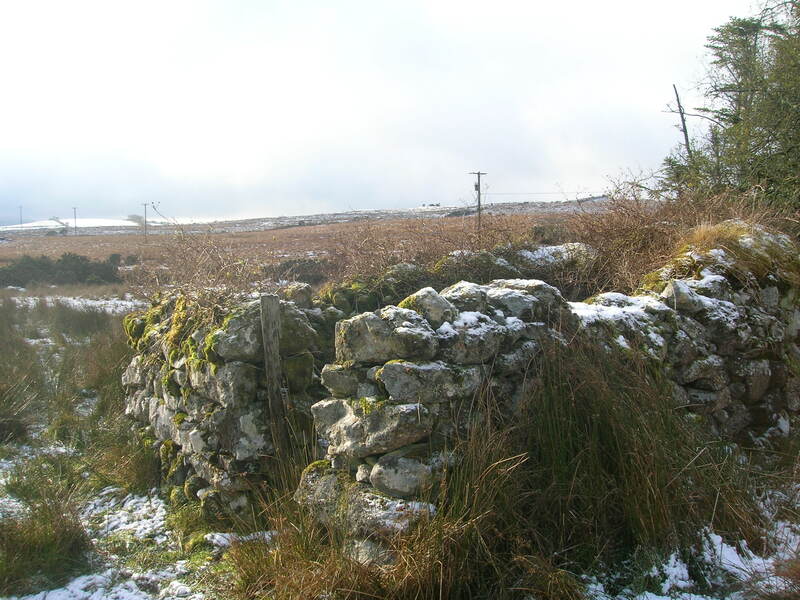 The only sounds are those of the birds and the sheep who roam the mountainside through the few derelict houses where families once lived, but it is still a beautiful place where one can get lost in time. Mute testimony of a ravished land. ‘Til dread famine stalked this land”. This page was added on 29/11/2010.